The CT910 is an excellent choice for a portable network emulator supporting speeds up to 45Mbps (bi-directional). It can insert latency, packet loss, bandwidth constraints, packet reordering, duplication and corruption, and other impairments in a controllable manner. The CT910 has no moving parts and will fit into a small travel bag or briefcase for easy portability. It is also completely silent, so you can include it in your customer demos and presentations. It should be managed by the LANforge-GUI running on a separate machine (laptop, etc). The CT910 can also be managed over a serial console in text mode. For more powerful systems, consider the CT913 or CT963. 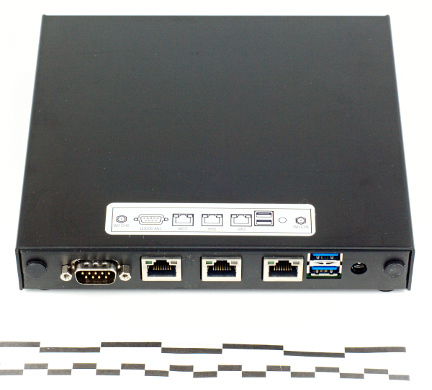 Connect Management Ethernet port to Management network or management PC. Connect Client to eth1 and Server to eth2. The eth1 <-> eth2 interfaces will be bridged and this bridge will inject the network emulation. Connect power brick to standard US or European AC power source. Install the LANforge-GUI on a separate management PC or Laptop. 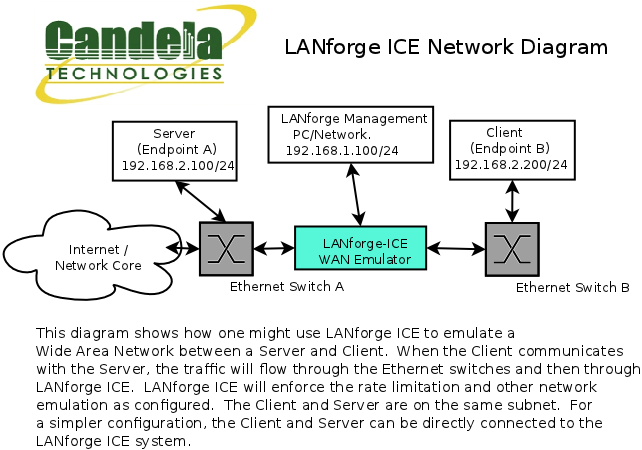 Windows and Linux GUIs are supported: Select the correct one from the CDROM or Candela Technologies Download page, or visit the LANforge appliance IP address with your web browser, and install it. The CT910 should now boot. 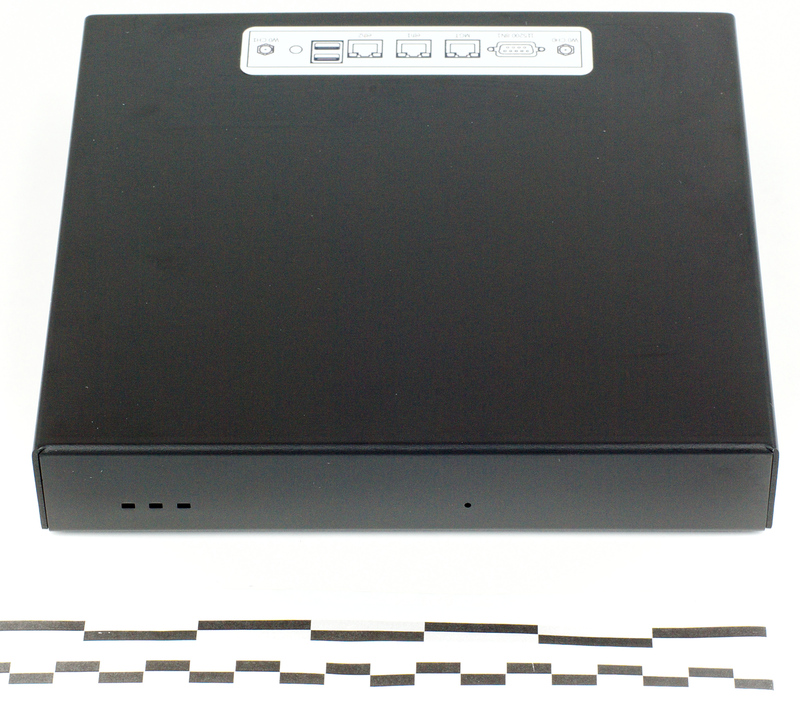 If DHCP is enabled on the Management network, the CT910 will automatically acquire an IP address. If DHCP is not available, the IP address will be set to 192.168.1.101 by the LANforge scripts. Start the LANforge-GUI on the management PC and click the 'Discover' button. It should find the CT910 appliance and add the IP address to the drop-down box in the Connect widget. Press 'Connect' and you will be connected to the CT910. Able to simulate DS1, DS3, DSL, CableModem, Satellite links and other rate-limited networks, from 10bps up to 45Mbps (full duplex). Affordable Appliance with no fans. AMD GX-412TC quad-core 1GHz processor. 30+ GB Solid State mSata storage Drive. 12v 2AMP external power supply (brick). Dimensions: 7 x 7 x 1 inches Metric: 170 x 170 x 30 mm.